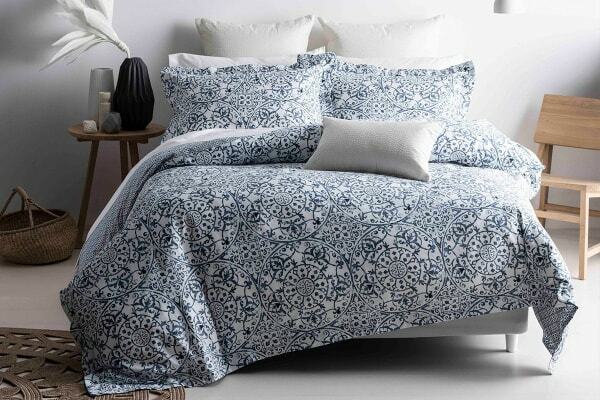 The perfect combination of calming colours and elegant Moroccan-style patterns. The Sarina Quilt Cover Set by Onkaparinga features stunning delicate Moroccan patterned prints combined with soft blue and white tones. 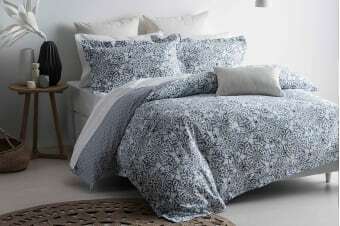 Designed to give any bedroom a fresh feel all year round, this 300TC 100% cotton sateen set is fully reversible. Finished with feature flanged trim edges on both the quilt cover and pillowcases, the Sarina Set will add that extra bit of culture, elegance and flair that your bedroom craves.